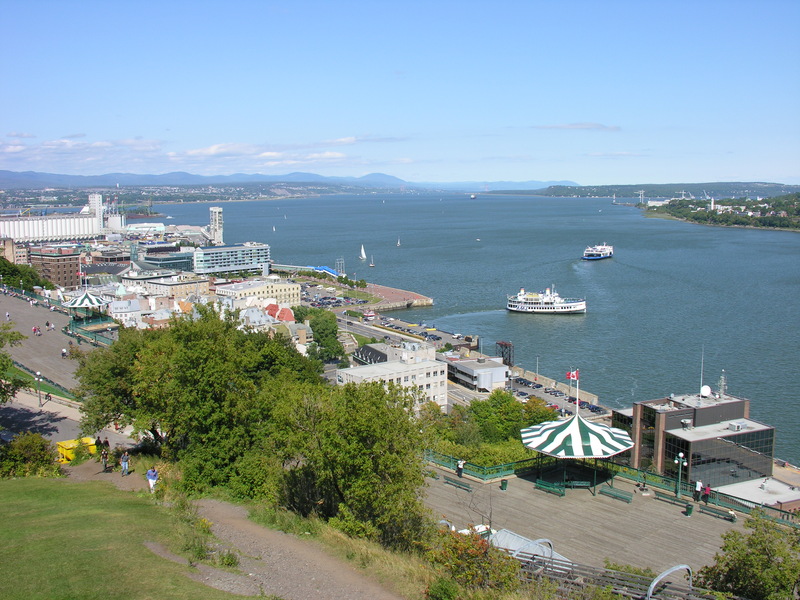 Below we have a view of the St. Lawrence River looking east from the Citadel. 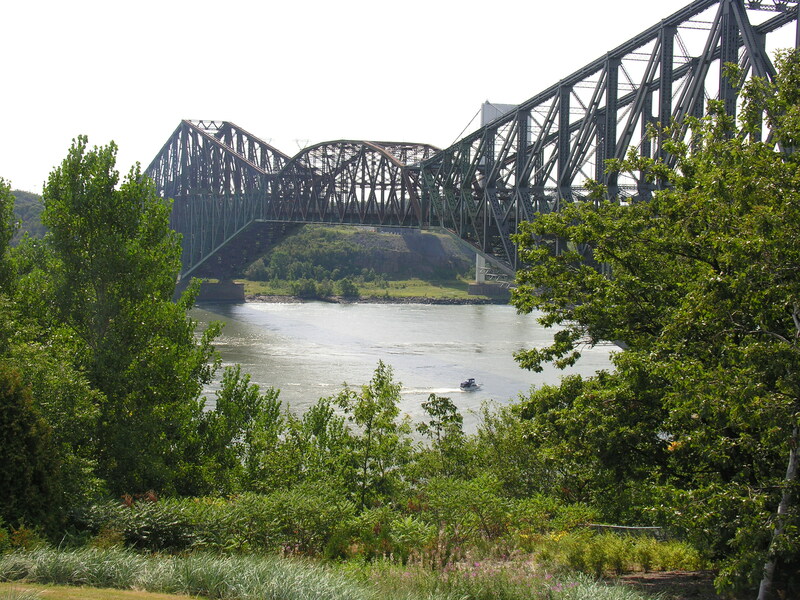 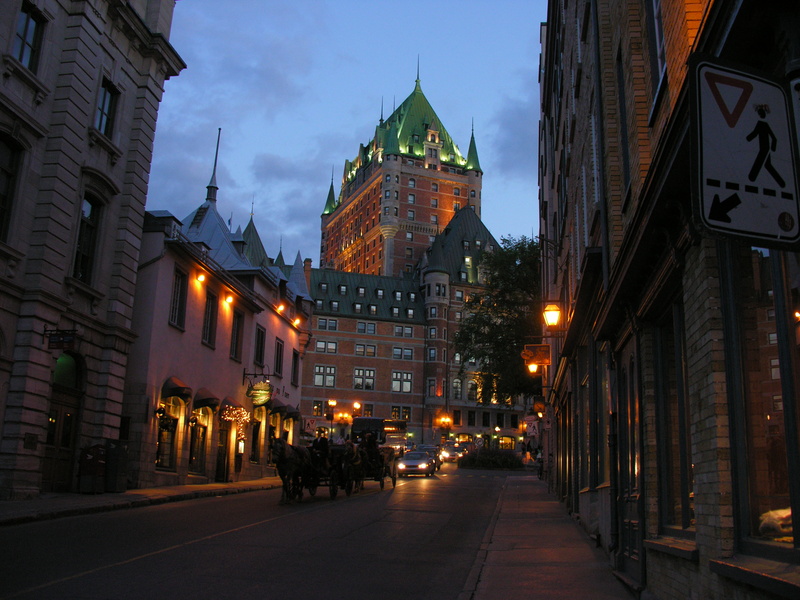 The Quebec Railway bridge, the largest single cantilever bridge in the world, and the Chateau Frontenac as seen from the Citadel. 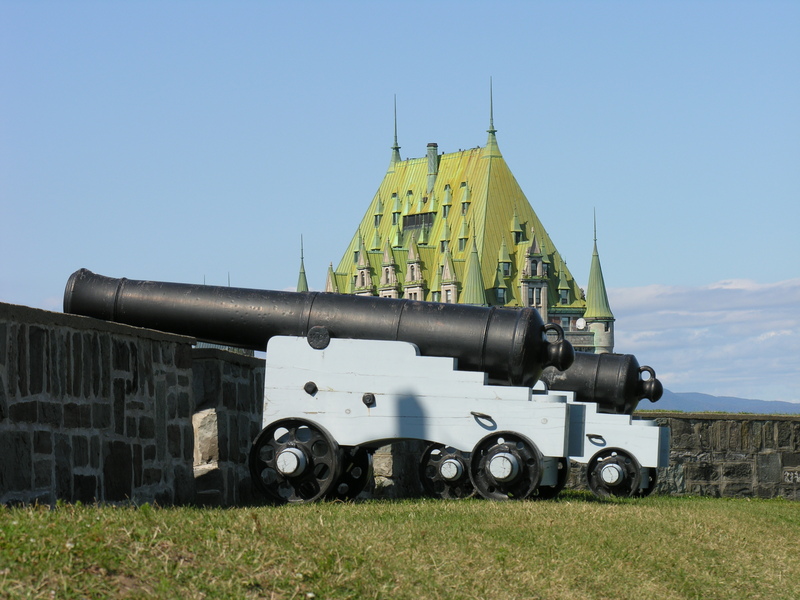 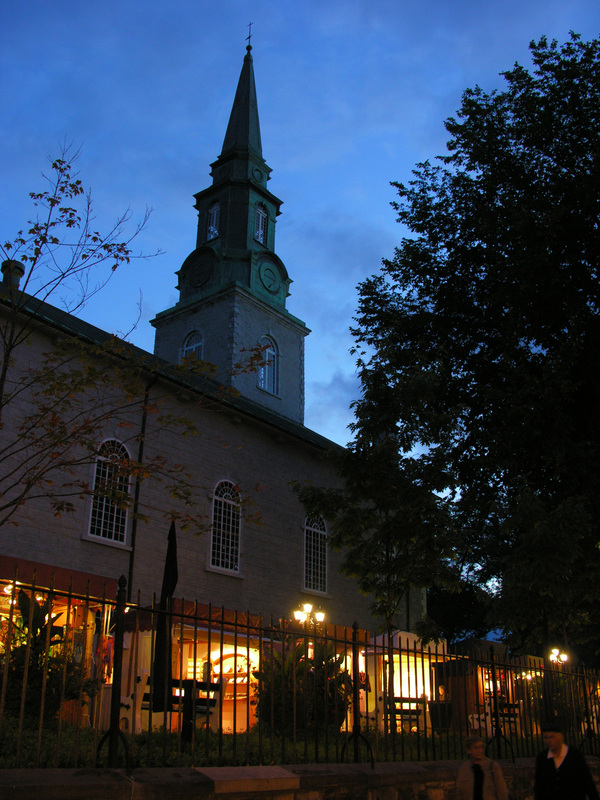 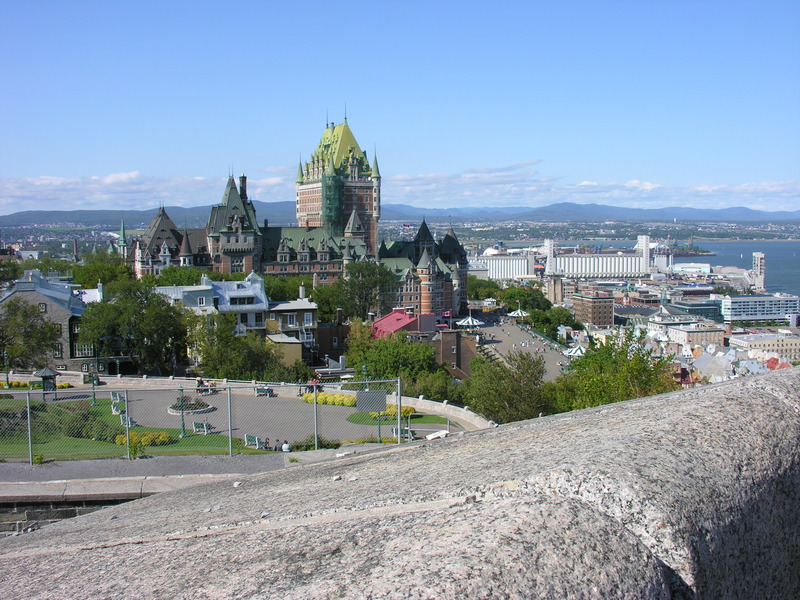 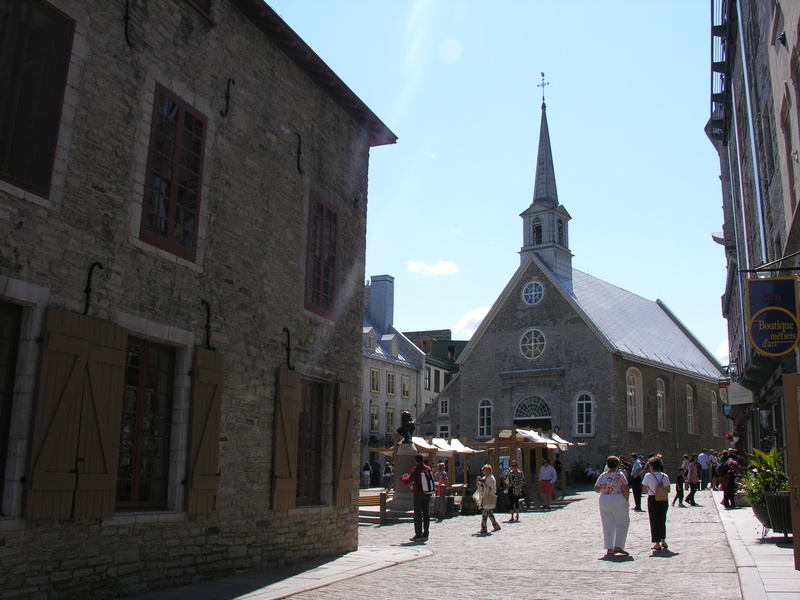 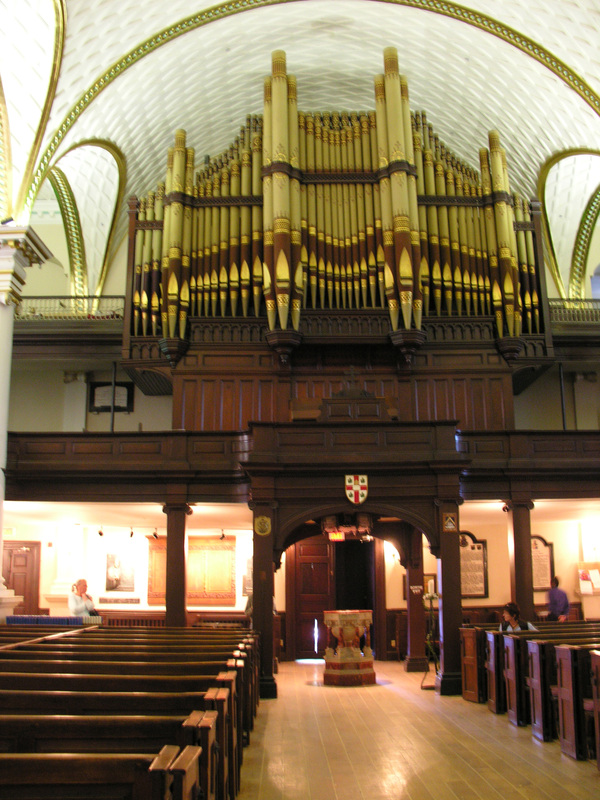 In the photo here from left to right are cannons lining the citadel, the Church Notre-Dame-des-Victoires in Place Royale, and inside, its organ. 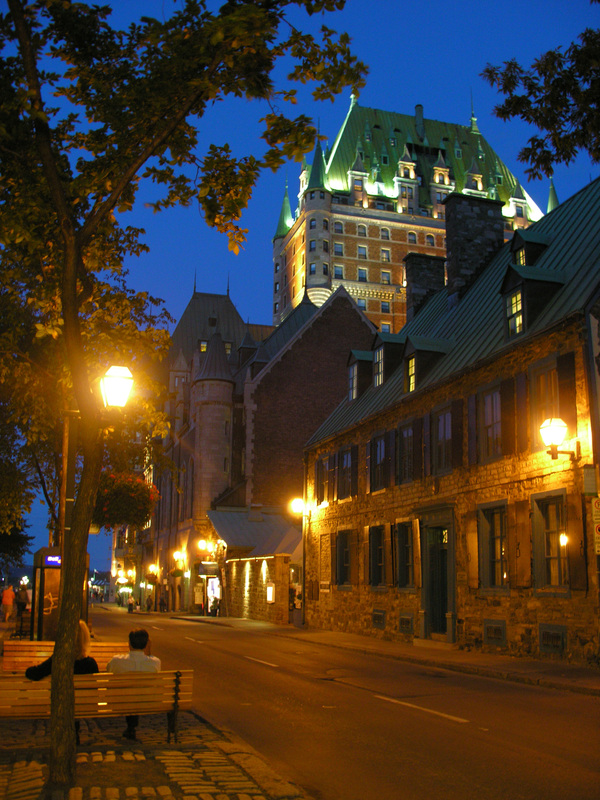 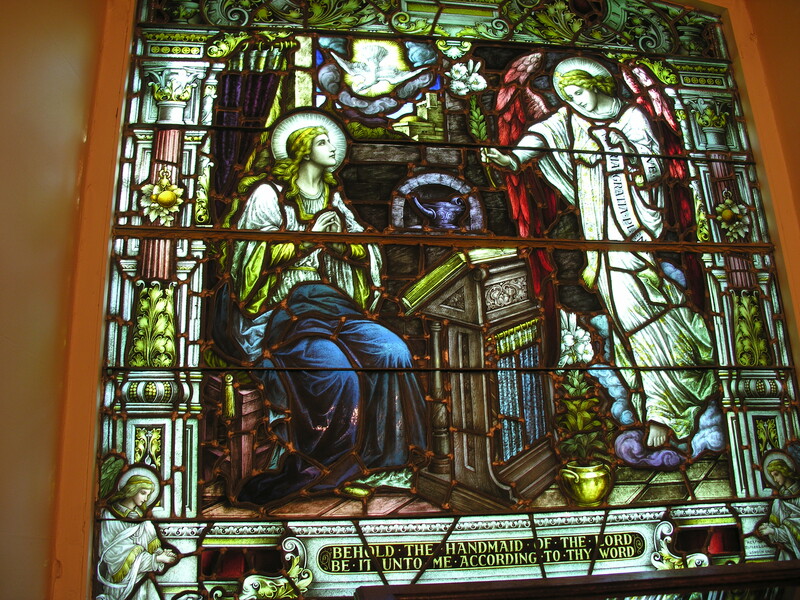 Here we see street views of the Chateau Frontenac, some stained glass from L’eglise Notre-Dame-des-Victoires and a street view of the Cathedral of the Holy Trinity.